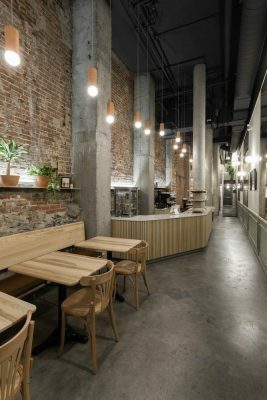 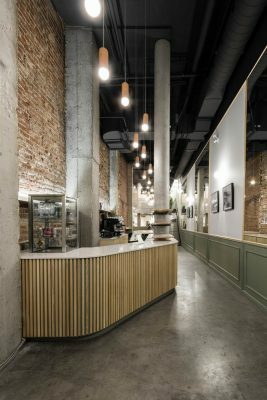 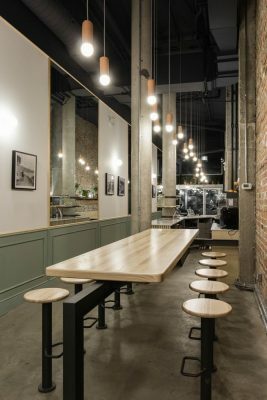 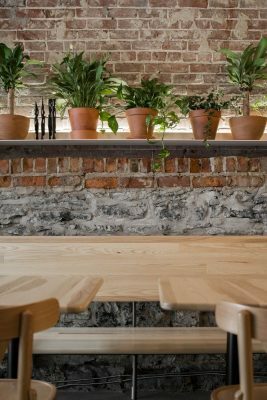 Jouney café, located in the heart of downtown Montreal, is a Lebanese café/bakery concept created by Patrick Abdelahad. 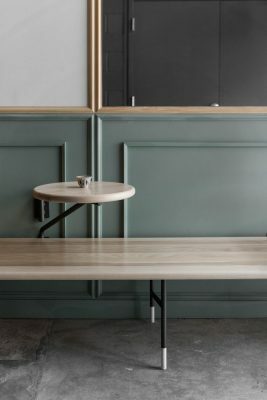 It takes takes its name from the seaside town of Jounieh, the owner’s hometown. 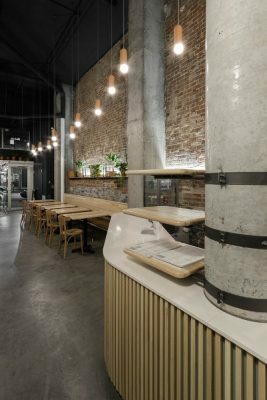 The long narrow restaurant can seat 40 in an array of different seating options. 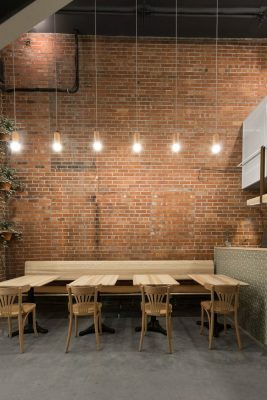 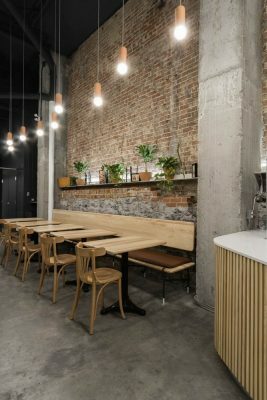 Banquette seating lines the 16-foot-tall brick walls, while an I-beam spans the sloping floor to accommodate a large communal table. 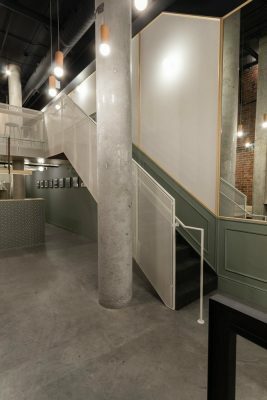 A perforated steel staircase leads to the mezzanine where bar seating overlooks the restaurant from above. 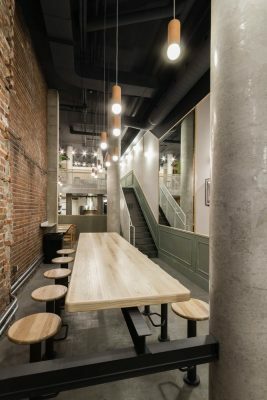 The constricted entryway inspired the design of side-by-side bench seating with swivel café tables fixed to the wall. 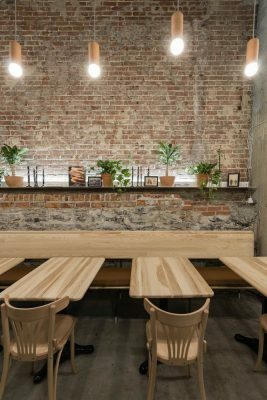 The simple material palette is comprised of ash wood, powder coated steel, brown leather, and terracotta – inspired by the tiled roofscapes of Lebanon. 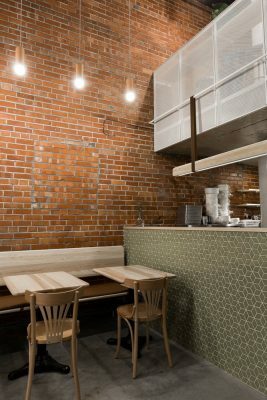 Handcrafted terracotta pendants line the length of the restaurant.